Bollywood salutes the veteran actor. Veteran film, television and theatre actor, director and writer Tom Alter passed away on Friday night after battling with stage four skin cancer. He was 67. He was famously known for playing the gangster Keshav Kalsi in the hit soap opera Junoon, which ran for a record five years during the 1990s. A native of Mussoorie, Uttarakhand, Alter was bestowed with Padma Shri for his service to the field of arts and cinema. Alter's first release was Ramanand Sagar's Charas in 1976. Among his notable roles are Satyajit Ray's Shatranj Ke Khiladi, Shyam Benega's Junoon, Manoj Kumar's Kranti, Raj Kapoor's Ram Teri Ganga Maili, and Mahesh Bhatt's Aashiqui. He also acted in several foreign films like Richard Attenborough's Gandhi and One Night With The King. Apart from acting in over 300 movies apart from numerous TV shows, Alter was the first person to interview cricket legend Sachin Tendulkar for TV when the cricketer was yet to debut for India. Ritesh Deshmukh: I had the privilege of working with him in Bangistan. Will always remember him for his humility and kindness. Kunal Kohli: So much goodness. Warmth. Friendly. Attracts & exudes positivity & peace. a distinct voice. 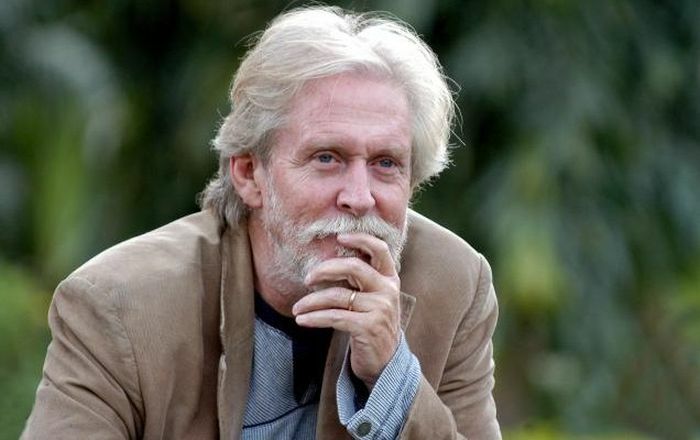 #RIPTom Alter. last of the gentlemen? Vir Das: I had the honor of working with #TomAlter twice. He was the perfect example of a humble talented artist with a gigantic legacy. 'Just not allowed. Nope.' What is Amitabh saying no to?